Many of our clients come to VWS because traditional forms of medicine (Western Medicine) hasn’t worked well for their health needs, often long-term and complex. To better support them and help manage conditions, our practitioners surround their situation with teamwork, offering a variety of modalities to address root causes and treat their mind, body, and spirit wholistically. Giving to the VWS Health and Wellness Scholarship means giving the gift of healthcare to our clients needing financial assistance to afford treatment. It is always a great time to show gratitude and thankfulness to those heroes that work on a daily basis to keep our community and country safe. We know that if we need help a first responder will be there for us during our time of need. First responders put their lives on the line for us and they do it not just because it is their job but because they feel a calling to serve and protect others. We also know that first responders are not the only ones who make sacrifices, but their families are impacted too. Many first responders have long shifts, are gone overnight, sometimes several days at a time, or may have to leave town to help others. This time away can impact families, marriages and cause general stress. Whether you’re sitting in front of a computer screen or doing intensive physical labor, your body is supporting you in all that you do. Every day. All of the time. We are often the last people we think about thanking for all the hard work we do! During the last massage I received I realized that bodywork is a long and thorough way of thanking myself for all that I do. A huge thank you for attending the VWS Open House + Wellness Summit to celebrate our second anniversary of Vancouver Wellness Studio! Make sure to download our Recipe Guide to make all the treats you tasted during the event! Take 10 minutes to sense into the abundant support of your body, with a mindful body scan and guided meditation by Krystal Meyer. Self-compassion can be challenging for many people when hard times hit but, it is especially difficult for trauma survivors. For people who have experienced child abuse or neglect or more recent trauma such as the loss of a loved one, divorce, a life threatening accident or being a victim of a crime, it is common for negative beliefs to develop. Recovering from trauma should include a trauma-focused treatment that builds self-compassion in the process. Building self-compassion is an integral part of healing. What is this stuff called CBD?! First and for-most, CBD is short for Cannbidiol, a type of cannabinoid, of which there are many found through out nature. They are most commonly found in the highest amounts in cannabis. With the recent buzz around the many health benefits of CBD more and more research is being done to understand this powerful substance. What we do know is that CBD has a positive impact on an array of health issues, ranging from anxiety and depression to chronic pain and autoimmune disorders such as MS. As humans we have what is called an “Endocannabinoid System” within our bodies. Our bodies actually naturally produce cannabinoids, including our mother’s breast milk! Cannabinoids have wide-ranging effects on the body but their primary function is to promote homeostasis in the body, maintaining balance in our internal physiological systems. What is also known about CBD is that it actually encourages our body to use our own cannabinoids rather than mimicking them. This is quite profound as it is simply encouraging the body to rely on what it’s already producing and prepared to receive. CBD has also been found to be anti-inflammatory, pain reducing, and anti-spasmodic, which all promote healing and injury prevention for the body. 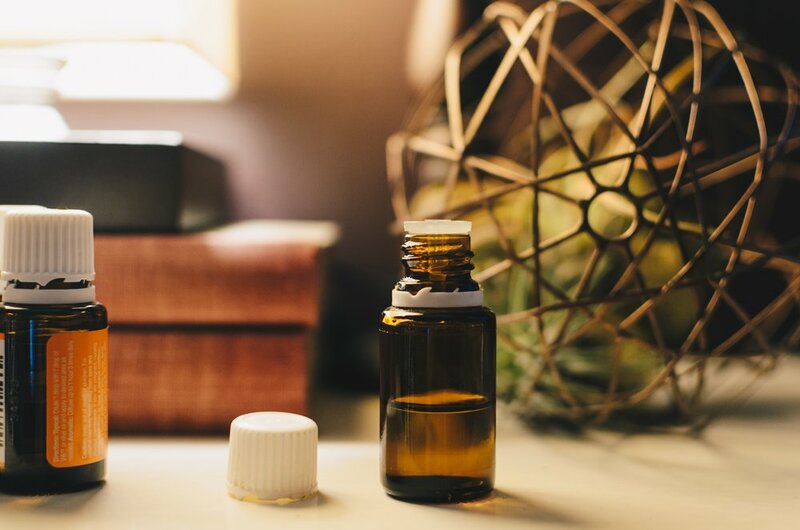 CBD is most commonly extracted from cannabis, or industrial hemp, though we are finding there are several other plant species that also produce CBD. Industrial hemp is different from the cannabis you can just pick up from a dispensary in that is has a .3% level of THC and is regularly tested to make sure these levels do not rise. THC is the psychoactive component of marijuana as well as another type of cannabinoid. This is the ingredient in cannabis that creates a “high” or change in mental perception. NO!! CBD does NOT have a psychoactive effect. Although there is .3% THC in our products, the drops and salve, it is NOT enough to alter your state of mind and VERY unlikely to be detectable on a drug test. It should also be noted that when using a cannabis product topically, even if there was more than .3% THC, you would not be susceptible to getting “stoned” because THC cannot pass the blood-brain barrier through the skin. Point three percent THC is an amount arrived at by many states like Washington because it is such a negligible amount. THESE PRODUCTS WILL NOT GET YOU HIGH. PERIOD. They are simply the best. I am not exaggerating. I went to their farm near SE Portland to conduct my own research and left feeling blown away and inspired by the quality and intentionality of their product. They are committed to non-toxic farming practices right down to the health of their soil reaching into to their extraction process with organic food-grade cane ethanol. This type of extraction allows for other benefiting compounds to remain in their products like terpines and flavonoids in a non-toxic way, as many other extraction processes use harmful chemicals. They know how to extract their CBD in such a way that allows for high potency and heat it to the perfect temperature making it even more available for the body to receive. They are a local family farm filled with integrity making their products affordable simply because they want them to available to those in need. We carry an array of their products at VWS, feel free to come by and check them out! Summer is associated with the element of fire. The organ association is the heart, the emotion is joy and the sound is laughter. The fire element is the element of love and connection.